Situated in one of the most fertile and pleasantly situated districts of the Persian province of Fars, the Persepolis platform measured 1458 feet x 929 feet and was between 33 and 39 feet high. Excavation has showed four distinct phases of construction over time. 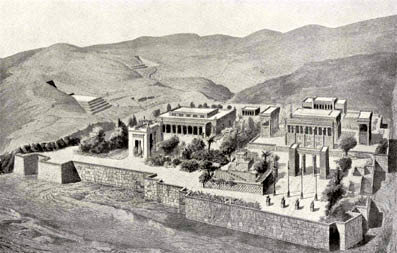 Mythology says that both the Baalbek and Persepolis structures were built on the instructions of Jinn bin (son of) Jann as lurking places for the Genii to hide.